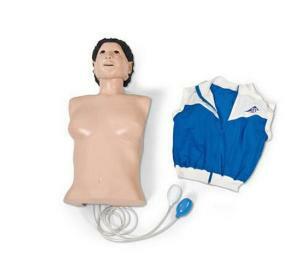 Reliable Equipment For All Cpr Training Courses. 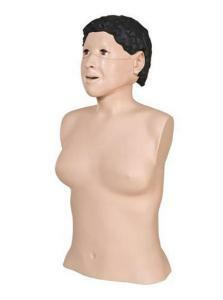 CPRLilly™ is a CPR training manikin developed to operate economically for a long time thanks to the use of disposable airbags and a separate air chamber system. This CPR simulator is also extremely hygienic: the face masks can be cleaned and exchanged easily. Replacements are available in both skin tones. All material used throughout the production process complies with the highest standards in terms of quality and durability, and is nonhazardous. 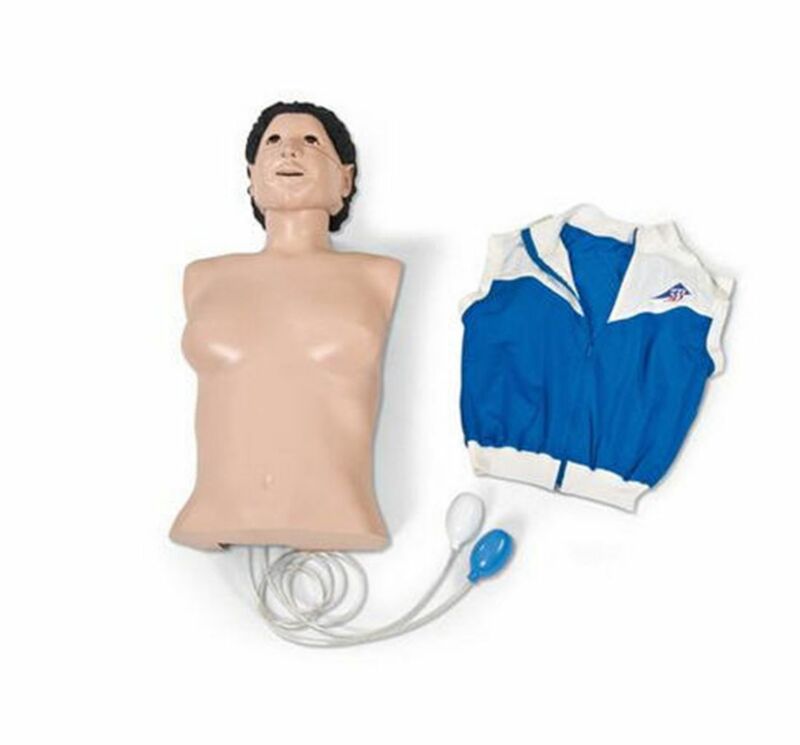 The CPRLilly™ CPR trainer has been developed and manufactured in Germany, and training with this manikin complies with the latest AHA (American Heart Association) and ERC (European Resuscitation Council) guidelines. 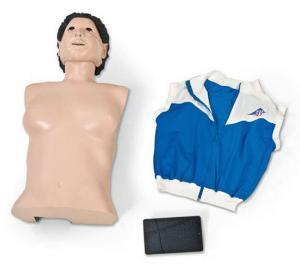 In order to reach the best training results possible, various feedback methods have been built into the manikin. A tone (which can be deactivated) will sound, when the correct compression depth is reached. The carotid pulse and the eye movement can be controlled individually by hand, and CPRLilly™ can react to the trainee by opening her eyes when spoken to. The upper body, dressed in everyday clothing with a zip jacket, shows all the important anatomical reference points. In addition to these features, the correct head tilt and the moveable jaw to demonstrate the jaw thrust maneuver, make CPR training with CPRLilly™ as realistic as possible. CPRLillyPRO™ can react by opening the eyes when spoken to by the trainee. The upper body, dressed in everyday clothing with a zip jacket, shows all the important anatomical reference points. The correct head tilt, individual carotid pulse, and the moveable jaw (demonstrate Jaw Thrust Maneuver), provide realistic scenarios. CPR training with the CPRLillyPRO™ line of CPR manikins complies with the latest AHA (American Heart Association) and ERC (European Resuscitation Council) guidelines. The included training tablet allows for more training opportunities. 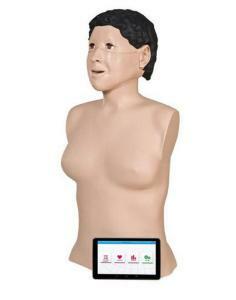 Certifications: CPR training with the CPR Lilly complies with the latest AHA and ERC guidelines.